Posted on Sunday, July 27th, 2014 at 4:35 pm. 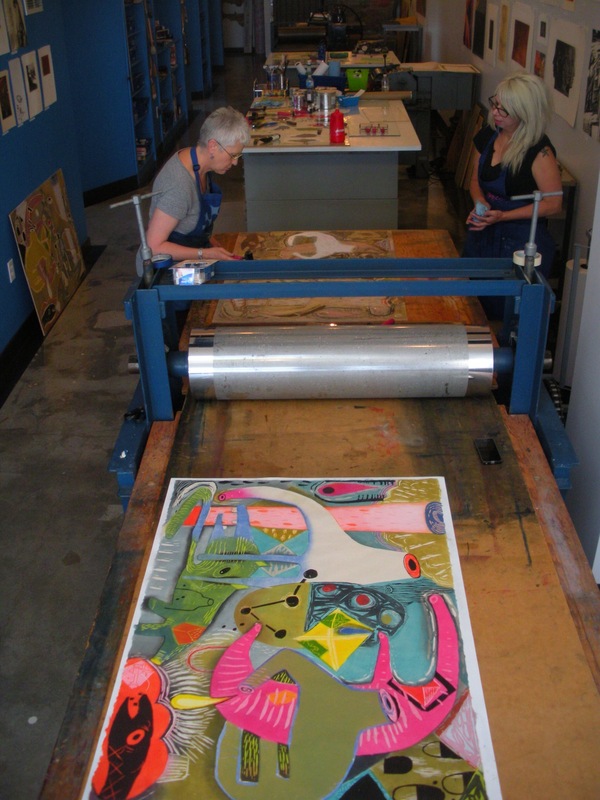 Constellation Studios Publications venture brought Visiting Artist Kim Reid Kuhn to the studio for some hot printing of a wild woodcut in a week-long residency! 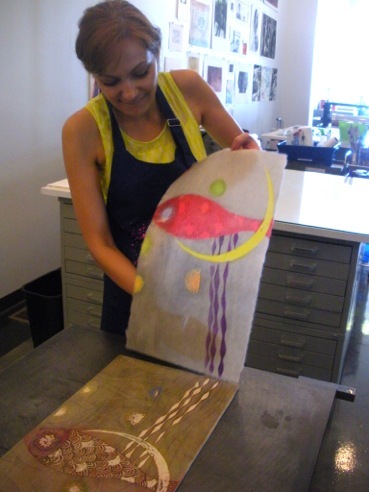 Kim has a BFA from the University of Nebraska-Omaha, and exhibits regionally, and is poised for national exposure. She is one of the co-owners of the Sweatshop Gallery, an unconventional art space and music venue in Omaha’s thriving Benson neighborhood. Watch for a Publishing Party coming in the fall to unveil this amazing print! Posted on Sunday, July 27th, 2014 at 4:17 pm. 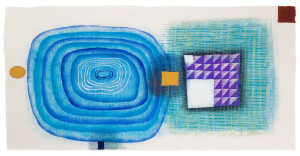 Sanaz is an Iranian artist currently residing in Bozeman, Montana. Her graphic design and art training from the University of Sooreh gives her strong abilities that she uses for new woodcut prints that test fine line details and gives a flowing mosaic-like pattern for an iconic woman/self-portrait. Sanaz is developing her art for graduate school applications and her future education.